Opinion Does social media actually decrease anxiety? Does social media actually decrease anxiety? Jake Pitre is a freelance writer and academic based in Ottawa. I was born in 1993, meaning I was part of the first generation to grow up with social media. In 2006, the year I became a teenager, Facebook opened to the public and Twitter launched that same year. Social media very quickly came to define our lives in ways that we still don’t fully understand. 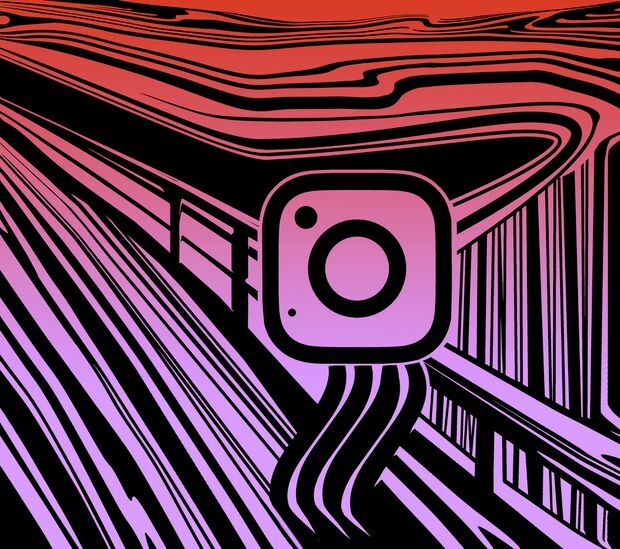 Conventional wisdom would have us believe that while social media has helped connect us in exciting new ways – ostensibly bringing us closer together and bridging previously insurmountable distances – it has also poisoned the proverbial public sphere. Many have blamed it for, among other things, the political divide that hangs over our society. Regardless, social media has an undeniably complicated relationship with our mental well-being that we struggle – endlessly, it often feels – to understand. We tend to blame social media and smartphone overuse for a vast range of modern afflictions, from increased narcissism to what’s been called “Facebook depression.” We’ve seen something of a cavalcade of research into the relationship between social media and mental health. You can grasp a handful of studies that show a correlation between social media use and loneliness, and just as soon find another handful that suggest the opposite is true. This lack of consensus, though, has forced researchers to think creatively to discover new ways of understanding the implications of our digital lives. In a study published in the August issue of the journal Computers in Human Behavior, the authors, Bruce Hardy and Jessica Castonguay, make a rather surprising argument: Social-media use may actually decrease anxiety for young people under the age of 30. By analyzing data from the 2016 General Social Survey (GSS), the only full-probability, personal-interview social survey being conducted in the United States, Mr. Hardy and Ms. Castonguay argue that there is a connection between age, how many social-media networks one uses and anxiety – i.e., the more social-media networks used by people aged between 18 and 29, the less anxiety they suffer from. I’m not so sure. After looking over previous studies on the subject, Mr. Hardy and Ms. Castonguay noticed that those focused purely on young adults and university students tended to show no link between social media and mental health. They decided to use age as a moderator, taking into account how many social-media apps and websites are used, and how frequently. They argue that, over all, the more one uses, the greater their anxiety – if they’re over the age of 30. Those that are under 30 – or in other words, the generation that has grown up with the Internet – appear to have less. How do they square this circle? Of course, those that are prone to anxiety or have been diagnosed with anxiety disorders will often ignore positive or affirming information, whether online or off, in favour of the critical or harmful. Could there be a generational element at play? An obvious consequence of social media is social comparison, wherein we become envious of those we follow; our emotional well-being suffers as a result. The study suggests that social comparison is greater among those over the age of 30, presumably as they begin to take stock of their lives and measure their achievements against others. One could just as easily, though, argue that young people engage in social comparison just as often as they struggle to assert their own identities and differentiate themselves from their peers. Other studies have shown that social-media use in adolescence is linked with poor sleep quality, anxiety, depression and low self-esteem, including one by Heather Cleland Woods and Holly Scott that found that the increased emotional intensity of adolescence results in higher investment in social media, leading to feelings of distress and isolation. It also seems as though young people are more inclined to addictive behaviour with social media, and some have associated this risk with depression and anxiety. For example, a new study released last week by the Toronto-based Centre for Addiction and Mental Health, which surveyed 11,435 students from Grades 7 to 12 across Ontario in 2017, found that both experts and teenagers themselves suggested social media was a stress-inducing factor, particularly for girls. In contrast to Mr. Hardy and Ms. Castonguay, this study framed its findings through the prism of gender, suggesting that the trend of social media’s increasing toll on mental health is more pronounced for girls. Although they note that it’s unclear whether social media is a cause or a symptom, it’s hard to argue with data that shows 61 per cent of girls who spend more than five hours a day on social media report moderate to serious psychological distress, compared with 33 per cent of boys. At any rate, it’s easy to register my cynicism in reading the conclusion to Mr. Hardy and Ms. Castonguay’s study, which quotes a Mark Zuckerberg Facebook post from 2017 about how the platform is “connecting the world” and bringing it “closer together.” Young people, they argue, are using social media in this way, the “way it was intended.” This is naively utopic, and certainly doesn’t seem to capture the way I feel while I peruse Twitter, or what I hear from friends and colleagues, young and old, about their own experiences. A tangential point made in their study, though, strikes a chord that feels far more real. Citing others, it seems that teenagers and adolescents often use social media to openly discuss mental health and even suicidal ideation (research is hopelessly mixed on the relationship between ideation and social-media use). They find support by being open online, while older people seem more adept at coping with stressors in their lives without social media, perhaps having learned by necessity growing up without it. These expressions of distress help to decrease the effects of depression and ideation, whether as a way of crying out for help or simply to share with similarly afflicted people. As Alice Gregory wrote for The New Yorker, “The act of writing, even if the product consists of only a hundred and forty characters composed with one’s thumbs, forces a kind of real-time distillation of emotional chaos, and although tapping out a text message isn’t the same as keeping a diary, it can act as a behavioral buffer, providing distance between a person and intense, immediate, and often impulsive feelings.” This communication can be protective, then, against the risks of ideation. However, the study uses this potent point to pose that social media therefore fosters mental well-being in younger adults, which seems like a leap. Openly discussing mental illnesses can be a useful preventive measure, but that doesn’t mean social media improves the mental health of young people across the board. Moreover, the sociological and cultural understanding of this issue seems to consistently treat it with bad faith, barely taking the medium (social media) or the subjects (young people) seriously. Each is often portrayed as an abstraction, simplified or otherwise considered so narrowly as to lose all context. For example, when Facebook introduced its suicide-prevention protocol in 2017, using AI to identify suicidal users and send them personalized mental-health resources, it felt like an opportune moment to better understand the power these companies and organizations have over our well-being in this new social order. Instead, of course, we have focused entirely on Facebook’s and social media’s role in elections, the ways in which our political divide plays out there, and social media’s capacity as media and journalism. These are important issues to consider, but we also have failed to account for how these companies are impacting our everyday lives and well-being. Reddit has a SuicideWatch board where users can look for and give advice; Tumblr, among other initiatives, has #PostItForward, which shares stories of users’ struggles with mental health; even Instagram has ways of directing users to external resources. Facebook’s tool, which uses machine-learning code to identify those at risk and give a personal response. Of course, what has been largely overlooked is how this can be used to justify the company’s data-mining in general – in order to step in for cases of mental health, the platform needs to be collecting everyone’s data at all times. It was shown in a leaked in-house study that Facebook used this data to identify users suffering through self-esteem issues (what they called “moments when young people need a confidence boost”) to advertise certain products to them (though Facebook disputes this version of events). One way or another, I can see how knowledge of how these companies surveil us might actually dissuade someone who is suffering from sharing that information online, undercutting the one possible benefit these tools offer. All this to say that even as researchers continue to manufacture creative ways of quantifying and analyzing the relationship between social-media use and mental health, the actual conditions of our everyday digital lives remain neglected. All our time wasted on determining whom to blame for what ails us could be better spent seeking to understand how it affects us and what we can do to take advantage of it.